The Fire Emblem strategy series started on the Famicom and was a hit with strategy fans in Japan. The grounded storylines in a fantasy world are coupled with the turn-based strategy found in Famicom Wars. 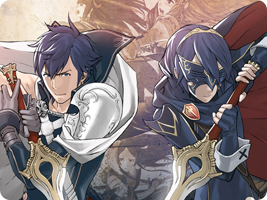 The inclusion of Fire Emblem heroes Marth and Roy in Super Smash Bros. Melee and the success of Advance Wars led the series to finally make its way west – with the seventh main entry in the series.